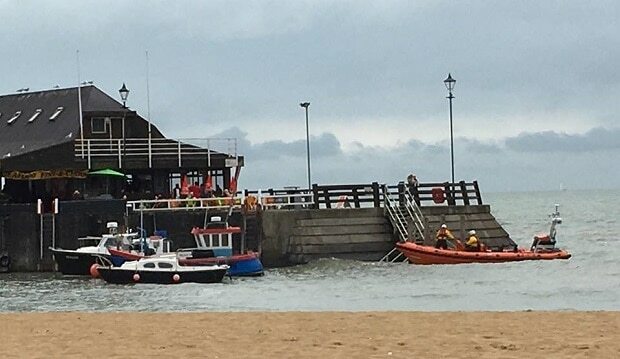 Two ambulances, a paramedic car and the Ramsgate inshore lifeboat were called to Broadstairs jetty this afternoon (August 16) to reports of people in trouble in the water. 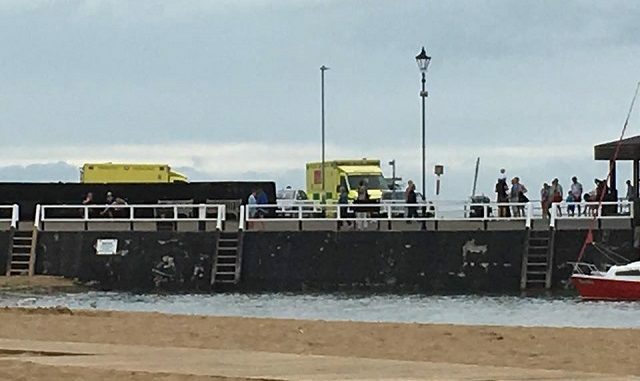 A South East Coast Ambulance service spokesman said: “At 2.38pm we responded to a possible drowning incident at Broadstairs harbour with two ambulances and a car. An RNLI spokesman added: “The (crew) launched at the request of UK Coastguard to two persons in the water off Viking Bay. The two, who were girls of around 12 years old, were actually pulled from the water by four Morris Men taking part in the town’s Folk Week. The members of Allsorts and Royal Liberty Morris pulled the girls on land and got them wrapped up until the emergency services were in place. May i add that it wasnt actually a Morris Man that went into the water to assist but a Royal Marine on Leave.